Every maker needs a reliable tool belt! 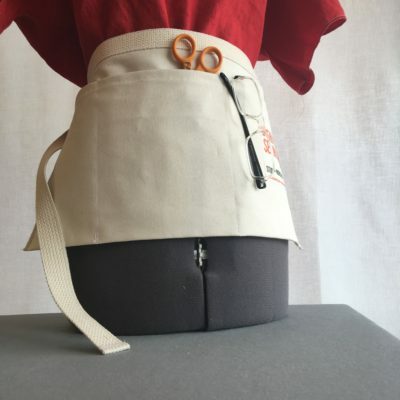 Customize this simple utility apron with pockets, patches, or loops. The cotton-belting waistband is simple. You’ll hem, press, and seam to create a durable organic cotton canvas apron! Need a challenge? Make the Level 2 version in our BeeSchool for Beginners course.